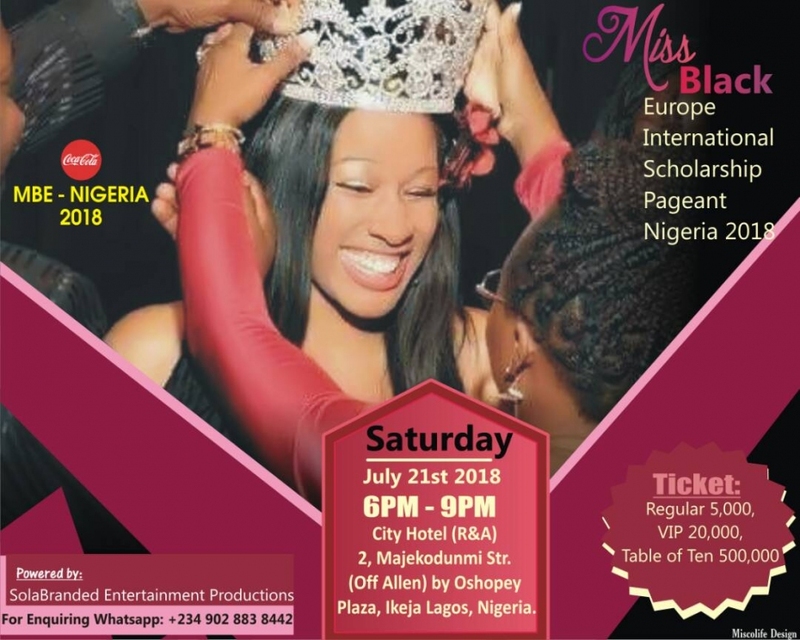 Click to enlarge Sola Branded Entertainment production present "Miss Black Europe international scholarship pageant Nigeria 2018"
Definitely not to be missed!! Tickets sold online at www.naijaticketshop.com also at Naija Ticket Shop Outlets located at: Eko Hotel, Silverbird Cinemas in Victoria Island and all Bukka Huts Restaurant in Lagos. Bullet Description: MBE Nigeria 2018!